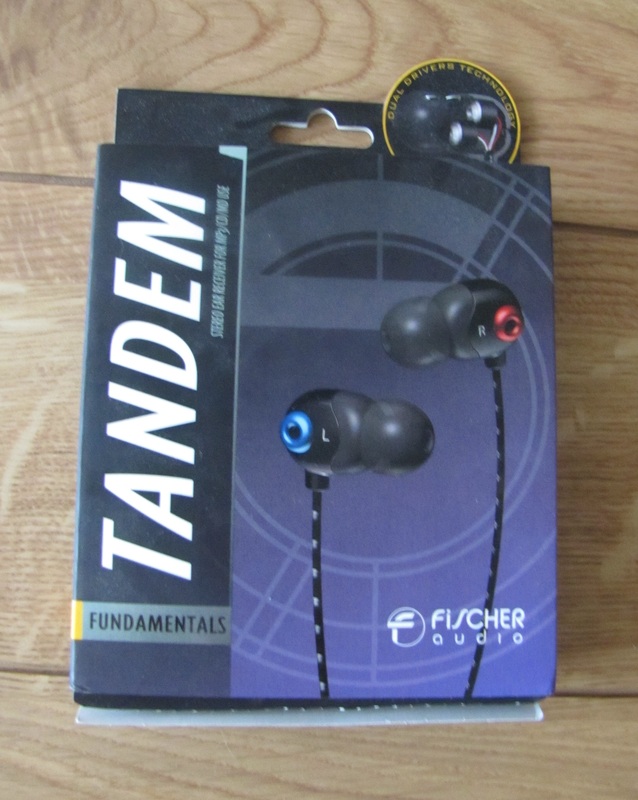 In the last few years, “Fischer Audio” (On this review, I’ll refer to them also as FA), a Russian Headphones & Earphones company, had been a quite common name in the audio discussion boards. Earlier this year, I reviewed their flagship IEM, the DBA-02 MKII, which I was very impressed with, and I hope that their product that I’ll be reviewing today would be as satisfying as the DBAs. 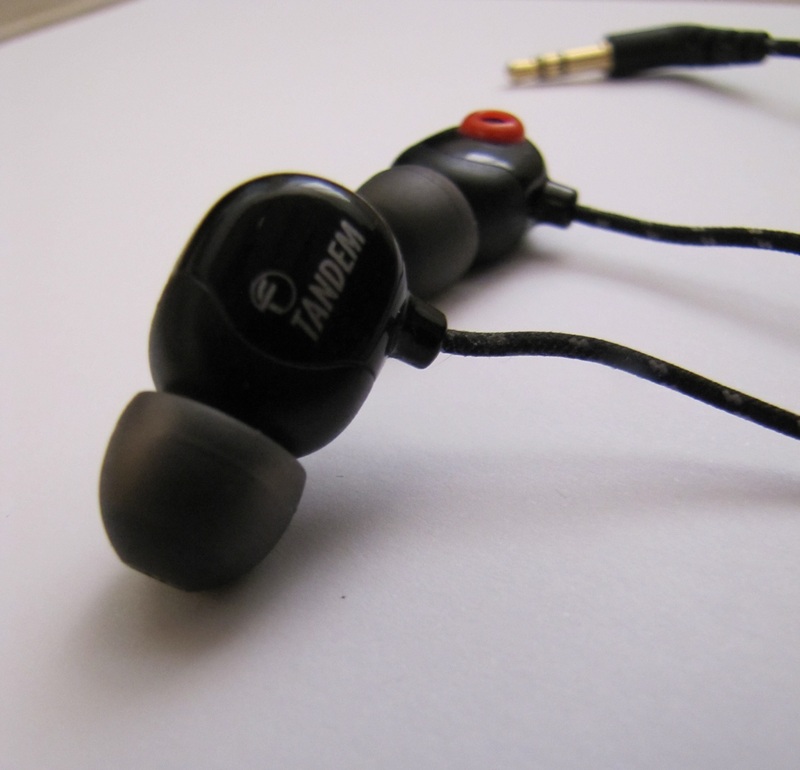 This review is going to be about the highest dynamic-driver based IEMs in their range; the Dual-Dynamic “Tandem”. This is actually my first pair of DDs (Dual-Dynamics), so honestly, I didn’t really know what to expect from these. 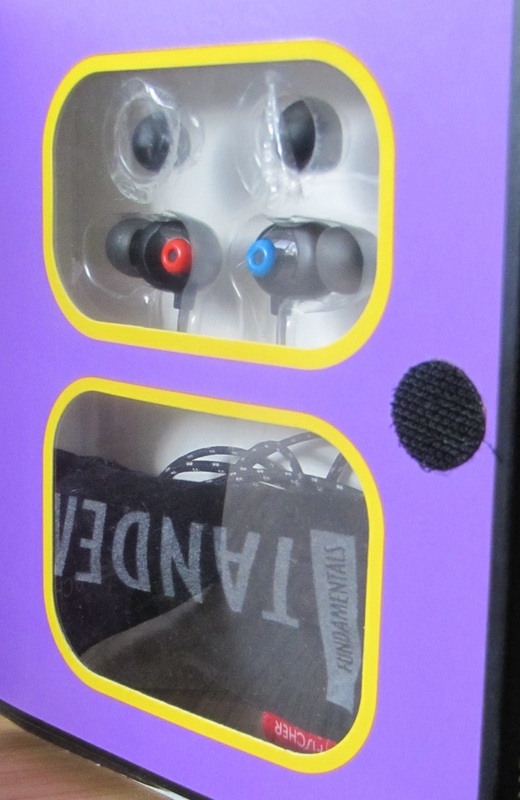 Packaging: The Tandems arrive in a quite small purple-black colored packaging. 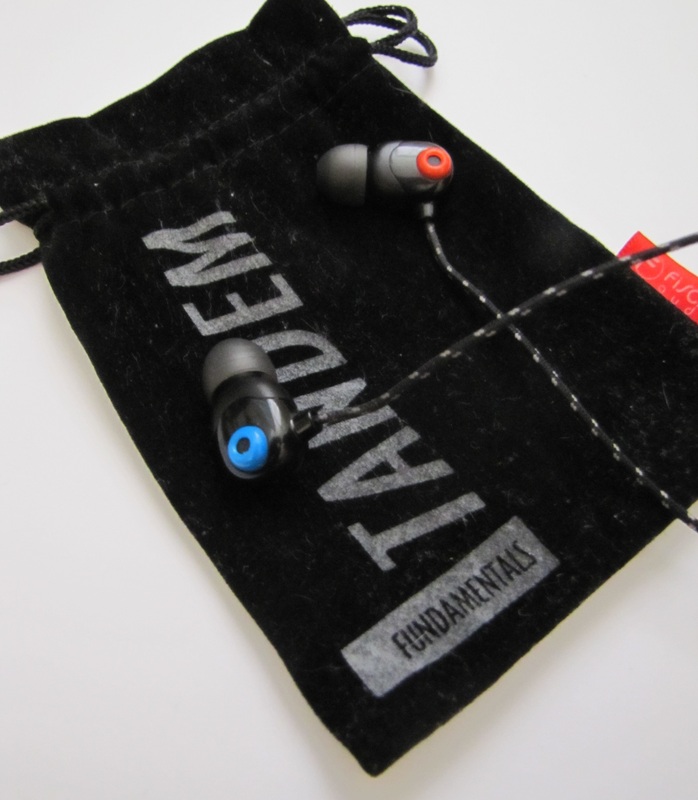 It has a picture of the Tandems on its front, while there are some explanations on the Dual-Driver technology which is used in these IEMs next to two plastic windows, which provide us with a first view of the tandems and of the included soft pouch. 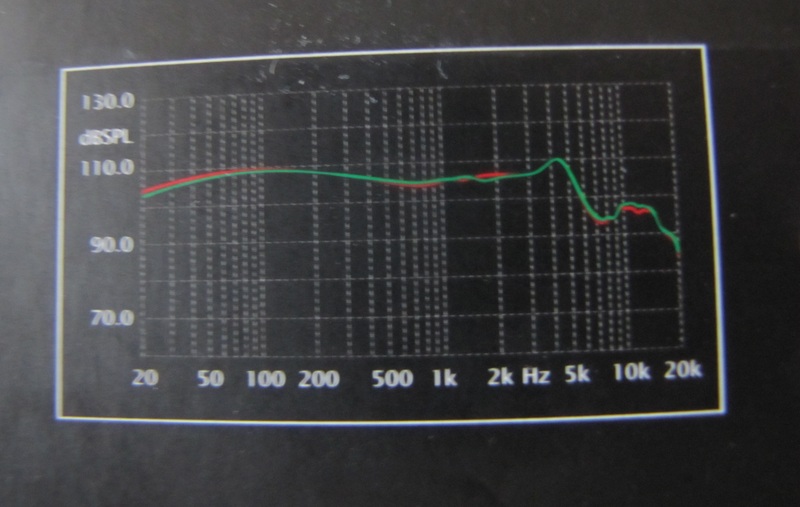 The packaging’s rare side has the Tandem’s frequency response graph and the product’s technical specifications in several languages. I actually like this kind of packaging more than the DBA-02 MKII’s one, since the Tandem’s packaging looks more retail-ish and professional. Accessories: As expected, FA provides us here with fewer accessories than the ones that they provide with the DBAs, but I do feel that the included accessories are quite good. First, they provide us with a velvet-like pouch, which isn’t really going to protect your IEMs against crushes, but more against scratches and scuffs. Of course that the case which was provided to me with the DBAs is a lot better, but this one is decent too. So the pouch is quite basic, but that is nothing that can be said about the included tips-assortment. 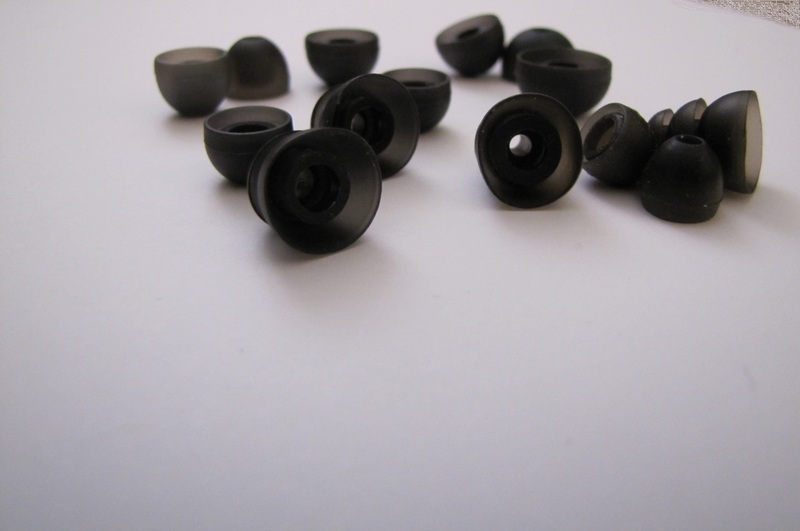 FA includes a variety of 10 pairs of ear-tips, in order to ensure that the user would be able to improve the comfort and sound easily, without having to buy additional “after-market” ear-tips. There’s a single pair of “Medium” sized triple flanges, another pair is of “Medium” sized double-flanges, while four other pairs are “Extra Small”, “Small” (Pre-Installed on the IEMs), “Medium”, “Large”& “Extra Large” sized single-flanges, all of which are small-bore ones. The three left pairs are generic large-bore single flanges, in “Small”, “Medium” & “Large” sizes. Building Quality & Design: I feel that Tandems are quite well built, apart from a few flaws, most of them being quite minor. Design wise, they are quite low-profile, nothing outstanding or flashy. 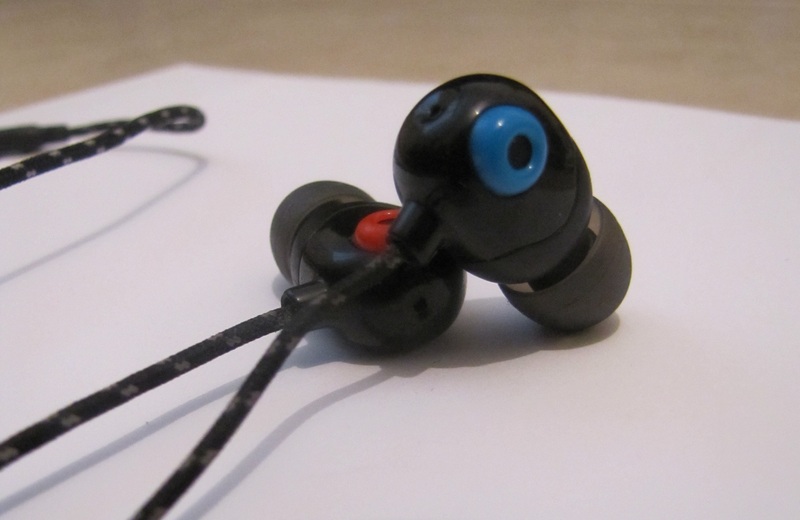 The housings are fully made of black plastic, besides a large circle on each of them (A red circle on the right earpiece and a blue one on the left earpiece), which replaces the traditional left and right printed signifiers. The major part of the housings is glossy, while the smaller part is matte. 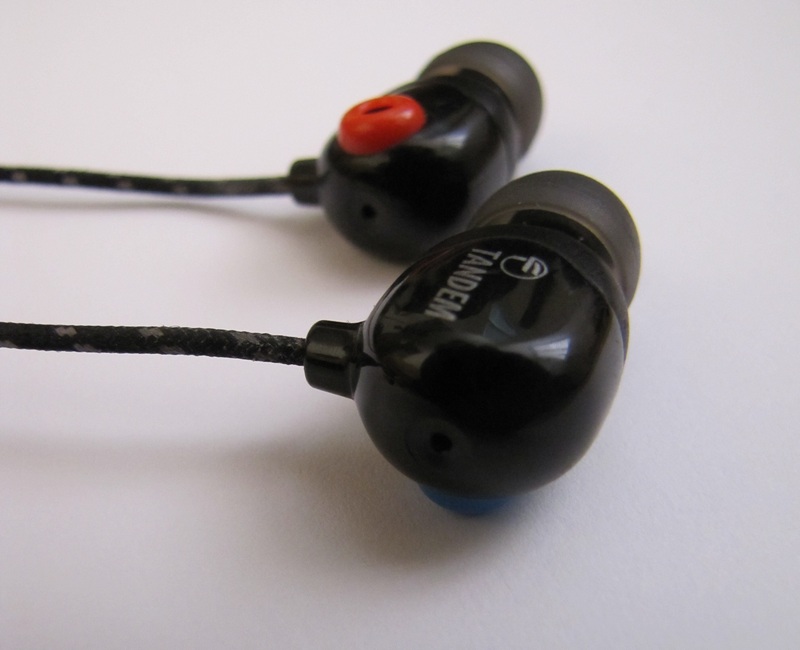 The nozzles are covered with protective-metal-meshes, while there is a tiny venting-hole in the IEMs’ back. The biggest flaw in the building-quality of these is the lack of strain-reliefs between the housings to the cable. I find it a bit troublesome and dangerous because the cable enters directly into the housings without anything that protects it from bending or being torn. The y-split is very small and low-profile, and there’s also a chin-slider, which I think is an essential part in every IEM. I quite like the cloth-coated cable because it isn’t too thick or stiff, but it also feels quite durable and it’s pretty flexible in comparison to other cloth-coated cables. It ends with a 45 degrees angled gold plated jack, which doesn’t feel like the strongest, toughest or most durable one, but it does look like it’ll do its job fine. Comfort & Fit: The fit is a bit tricky with these, even though there are more than enough pairs of tips included. The main reason is the housings’ unusual oval shape and their quite large size too. I ended up finding that the small sized small bore tips, which were already installed on the IEMs are the best for me in regards to sound-quality, while the medium small-bore ones were better for me comfort-wise. 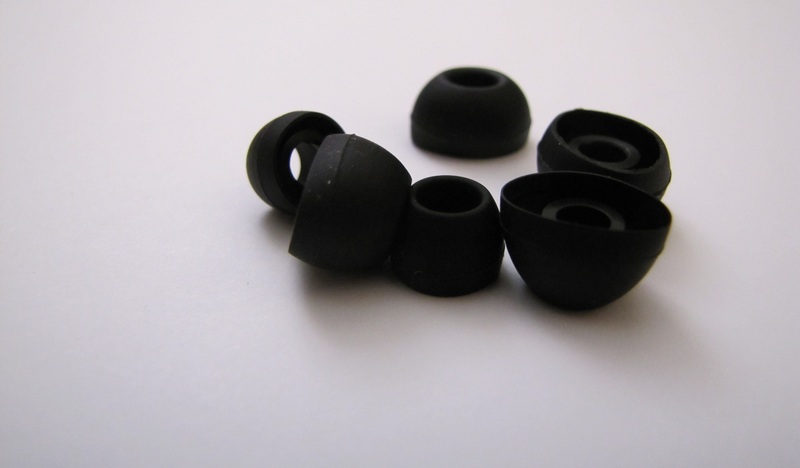 Talking about comfort, these are ok when finding the right tips, but I feel that they would’ve been a bit more comfortable to me if my ears were bigger (my ears are actually quite small). The insertion depth depends on what tips you choose to use, but overall, the Tandem’s insertion depth is about average. These IEMs are made to be worn with the cable down, but I found them to be comfortable enough when wearing them over-the-ear too, despite the fact that the cable is a cloth-coated one (which usually makes this wearing style quite un-possible). Isolation & Microphonics: Due to the venting-hole in the housings’ back, the isolation isn’t quite good, honestly; when using the triple-flanges and getting a deeper insertion depth, it increases by a bit, but that’s quite it, to summarize. When worn with the cable down there’s quite a bit of noise coming from the cloth-coated-cable (not as much as on the Audiofly AF78s or Etymotic HF5s though), but when using the chin-slider, it is reduced by a bit, and it is reduced by even more when wearing these over the ears. Sound: Before testing these IEMs, I gave them a burn-in period of around 60 hours, during which and after I didn’t notice any major changes.With dual-dynamic drivers inside, the Tandem posses a thick, warm, mid-centric and smooth sound. Bass: The Tandems have a bit more than the average amount of bass. It isn’t really powerful and its impact lacks a bit in my opinion. It’s quite soft and rolls of a bit too early, while its speed is quite decent. I did not find the Tandem to be able to produce a punchy enough bass, a thing which I was a bit disappointed with. Midrange: As I already mentioned, the Tandems are mid-centric. The mids are thick (they might be a bit too thick, in my opinion), warm and quite lush, while it feels that the vocals aren’t as sweet and energetic as I would’ve liked them to be; similarly to the lows, also the mids appear to be on the soft side. The mids have a beautiful and excellent timbre, plus they’re very well textured and layered too. I find the mids to be pretty detailed, but also not too forgiving due to that, so bad recordings would not sound really good on these. Treble: The highs are on the leaner, smoother and more laid back side. They extended nicely, but the highest frequencies seem to be a bit more laid back than the whole treble. It doesn’t have too much crisp or sparkle, and it also lacks some energy, but on the other side, it is never sibilant at all too. Sound-Stage & Imaging: The Tandems have a quite good sound-stage. Mostly noticeable is the great depth, which gives the sound a three-dimensional feeling. The imaging is more than decent, while the instrument separation is very satisfying, due to the awesome layering. My thoughts on the Tandems are positive, I feel that they’re a worth considering pair of IEMs if your budget is around $100if you are a vocal-lover/mid-head which likes a relaxing and laid-back sound. Otherwise, you might find their sound to be a bit too thick or soft. Besides that, they come with a nice amount of accessories, and a quite good building-quality, but if you are looking for isolation, please look elsewhere. Where to Buy? The Fischer Audio Tandem Dual-DriverIEMs have a price-tag of $100-$130, and they can be purchased from FA’s authorized, which a list of can be found here. As always, I would recommend European customers to purchase these from “Top Dog Headphones“, a UK-based FA dealer. *I’d like to thank Fischer Audio for the review unit.